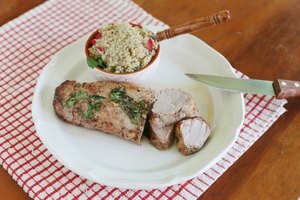 According to Pork Checkoff, an arm of the National Pork Board, it’s safe to roast frozen pork or even a partially frozen piece of pork in the oven. It’ll be a slower cook than if the roast were defrosted. Set the oven temperature at 325 degrees Fahrenheit and plan for the time from oven to table to increase to around 50 percent longer than normal. 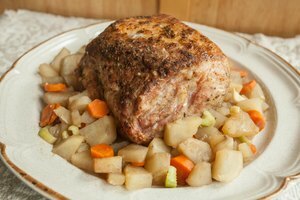 The timing for a defrosted pork roast is 25 minutes per pound, so calculate your timing according to the roast’s weight and add 50 percent. 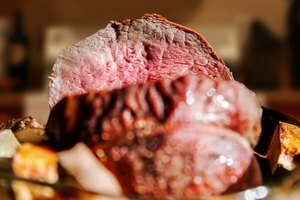 The meat thermometer is your best indicator of doneness. Put the roast, fat-side-up, into the oven. After it’s been in the oven for about a half-hour, remove it and season all the sides. Return it to its roasting pan and add chicken stock to the bottom. This creates moisture and helps the cooking process keep your meat tender. Once the internal temperature reaches 140F, remove the pork and let it sit for a few minutes. 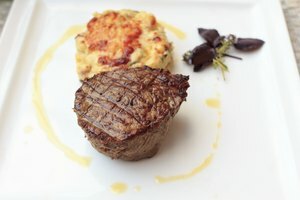 These last minutes bring the final temperature up to 145F, which means the meat is medium-rare and safely cooked. 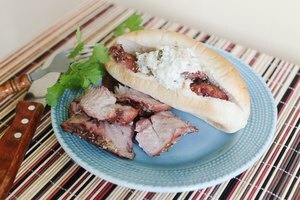 Once your roast has finished cooking in the oven, you can continue cooking it until it reaches the “pulled pork” temperature and texture. Just keep the temperature low, keep adding water or chicken broth to the bottom of the pan, and let the roast cook until a fork can pull it apart. Microwave powers differ, and all brands have a manual instructing the differing defrosting times based on that power. If you use this method to defrost your pork, prepare your oven by heating it in advance. Immediately after you remove the pork from the microwave, season it and place it in the oven, cooking it as you would a defrosted piece of meat. The USDA points out that a slow-cooker takes several hours to reach the temperature necessary to kill off bacteria and make the meat safe to eat. A frozen piece of pork takes longer to reach that temperature, which makes it inviting for bacteria. They, and the Pork Board, do not recommend cooking your frozen pork with this method. Since a 1-inch-thick pork chop takes about 12 hours to defrost in the refrigerator, you may want to do a reverse sear with your frozen chops. Just place them in a 250F oven until the internal temperature reaches 140F. Let the chops rest for a few minutes; then sear them for 1 minute on each side. Rest them again and serve the tender chops. 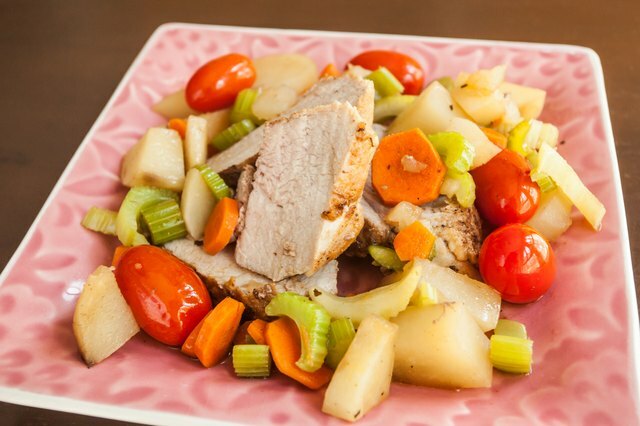 If you have leftovers from your pork roast, they can be refrozen safely. The key to freezing is to wrap tightly, removing all air pockets. Use plastic wrap and press it down firmly so that its contact with the meat leaves no room for air to get in. If you’re freezing the chops, place wax paper between them before wrapping them in plastic.